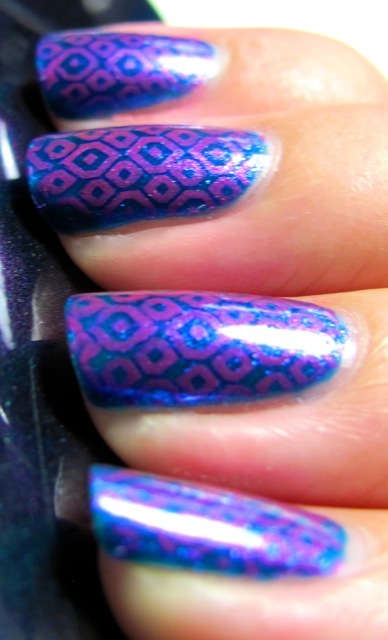 This manicure was so pretty and depending on how the light was hitting it, the colors could change. Blue, purple, pink. Very fun. 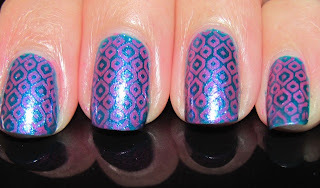 I painted three coats of China Glaze Blue Iguana and then added Bundle Monster plate BM 223 with Konad Special Stamping Polish in Psyche Pink. I finished the look with one coat of Seche Vite. Wow so cool!! I really love the colours and the effects! 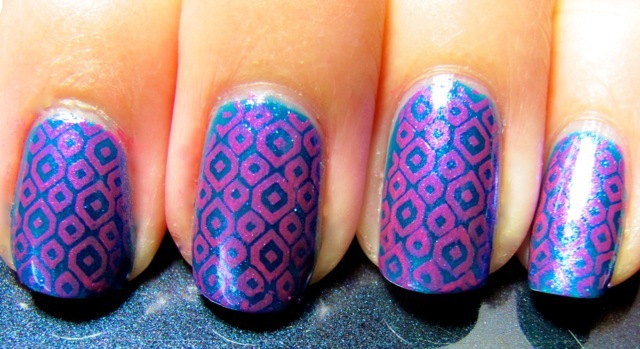 I did this the other day with different colors! Awesome!